Carly is our best doe. 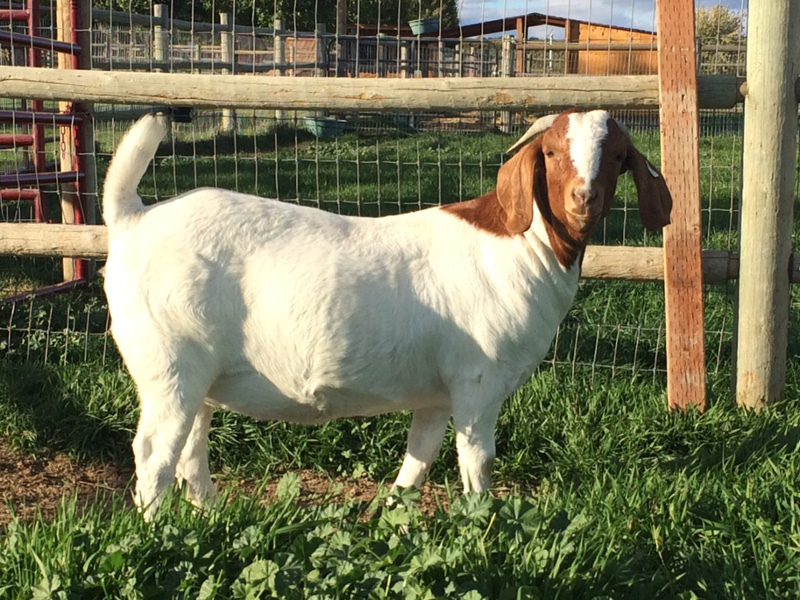 She is an excellent mother and very large framed show correct fullblood boer. She kidded triplets this year her first time on her own during the fireworks of new years. Ember is a Tank! She really is a huge doe that we have very high hopes for. She is dehorned and we plan to keep her around for a very long time. She is due to kid for the first time this spring and we are very excited to see what kind of big kids we get from her. 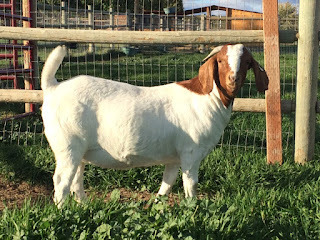 Punch Line is very pretty black caped Fullblood Boer Doe. She has produced a lot of great kids for us with a variety of cool colors.